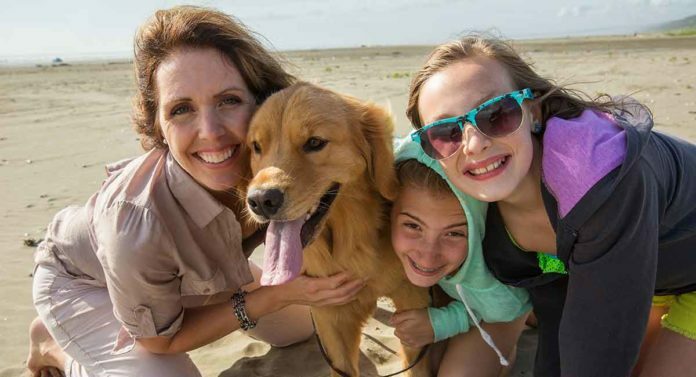 Sometimes it can be very difficult to judge what the best dog breeds for families are. The number of possible choices available can seem endless. 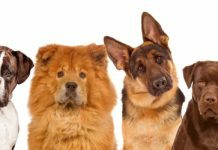 Dog breeds are incredibly diverse, coming in all shapes and sizes, with each breed having their own unique requirements to be happy. Perhaps you’re worried about deciding what breed is right for your family and your situation. We’re here to help out. If you’re choosing a dog to live with children for the first time, you’re likely to have lots of questions. How much time do I need to put in daily to care for this breed effectively? Are they obedient and easy to train? Will my kids be safe with this breed? Are they healthy? Are expensive vet visits potentially in the cards? Whether you are a first-time owner or an experienced dog lover, our breed suggestions should help you choose a loving and fitting family pet. If you have never owned and raised a dog before, your choice of breed is even more important. Many breeds are not suitable for first-time owners in many aspects. Some have intense grooming requirements that are difficult to keep up with. Other breeds are more likely to be independent and stubborn. These dogs are often better matched with owners who already have experience and confidence in training. It is not fair for a dog to join a family that cannot care for them correctly. Therefore, the best dog breeds for families that are completely new to owning dogs tend to be those that are both easy to train and care for. 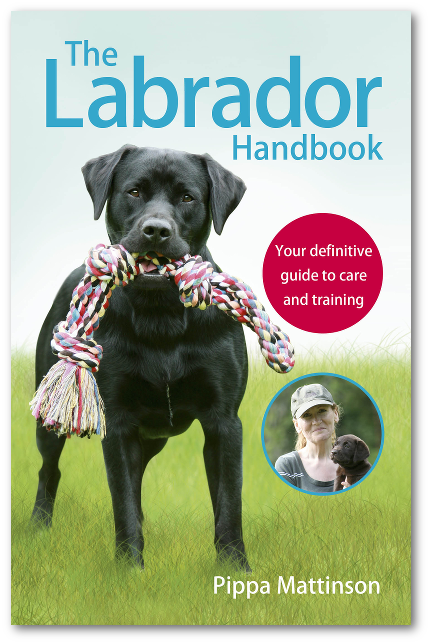 For this, we are going to take a look at two of the most popular breeds: the Labrador and the Golden Retriever. 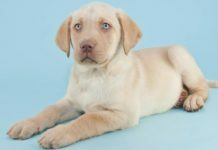 According to the American Kennel Club, the Labrador is the most popular breed in America right now, and for good reason. They are a very friendly, companionable breed that can easily get along with children and other pets provided that they have been socialized correctly from a young age. A medium-sized dog, their kind eyes and easy-going nature complete their look as a gentle, loyal breed. 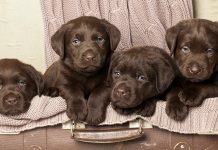 For these reasons, they have gained a reputation as one of the best puppies for families. They were initially bred to be water dogs, and still enjoy a good swim! They can be very easy to train as they are always looking to please their owners. Their grooming requirements are pretty standard: a weekly brush, with regular claw trimmings and teeth brushing to keep them in tip-top condition. A Lab does require plenty of exercise. A long walk every day with some added play is necessary to keep them healthy and to prevent negative behaviors from forming. However, they may not be suitable for families with very young children. They are rather big dogs and can be very excitable. This could lead to accidents. They have also been known to suffer from potentially debilitating health conditions such as hip and elbow dysplasia, and eye conditions such as progressive retinal atrophy. This breed is also known to be at risk of a serious condition known as bloat. Taking third place within the AKC’s popularity rankings is the famous Golden Retriever. Similar to the Lab, this is a very friendly and outgoing breed that bonds quickly and strongly with members of a family. They can be very gentle and good with kids, and prove to be tolerant of other pets within the household provided they have been socialized correctly. The breed was originally developed to be a gundog, a dog that would retrieve game for those taking part in a shoot. They were bred to be loyal and obedient, something that still shows through today. A Golden wants nothing more than to please their owners, so they can be easy to train. But they are known to be rather heavy shedders! A weekly brush is usually enough to remove dead hair before it ends up all over the house. During shedding season this may become a daily affair. Again, this is a breed that requires a lot of exercise to keep them happy. A Golden loves to run and play fetch with their owner. He will require a good session of this and a long walk daily to keep him satisfied. Like the Lab, the Golden’s energetic nature and large muscular body could potentially lead to accidents around very small children. If your heart is set on this breed, it may be worth waiting until your children are a little bit older. The Golden Retriever is also susceptible to hip and elbow dysplasia, eye conditions such as progressive retinal atrophy, and bloat. There are many concerns when looking at the best dog breeds for young families. While many breeds don’t have a problem with children, some breeds have are more likely to exhibit potentially dangerous traits. These may include guarding, possessiveness, and a low tolerance for rough play. These traits can be worsened by poor or no training being given to the dog at a young age. Your children must be trained to treat their dog with patience and respect as well! Both the Golden and the Lab are very patient with children if trained well. They will not mind if the children are a little too rough while they are learning how to play nice. What size dog for families? It’s also important to take into account the size of the breed when looking at dog breeds suitable for young families. Potential problems exist at both ends of the scale. Many large dog breeds are described as gentle giants. However, some of these breeds can outweigh a fully-grown man. Regardless of how gentle the temperament, these large breeds can still knock down a toddler, or scare a child completely unintentionally. On the other end of the spectrum, miniature and toy breeds face the opposite problem. They have delicate bones which are easily broken by rough-and-tumble play. Therefore, it’s a good idea to choose a breed that is neither too large nor too small. 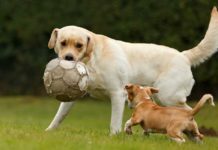 As long as you don’t go too small, small to medium dog size breeds are often successful in a family with young children. Of course, you must still supervise young children around their canine pal at all times. If you’re in the market for a dog on the smaller side that would be among the best dog breeds for families, the Beagle is a good choice. Another incredibly popular breed, the Beagle is a well-loved small dog. Energetic and companionable, they easily get along with the family and love to entertain. They can have a playful nature, meaning they get along with children just fine if they have been trained well. In fact they usually enjoy the attention! Their outgoing and friendly nature usually means they are placid with other dogs and strangers too if they have been socialized correctly. The Beagle was originally bred to be a rabbit hunter; they are a very strong scenthound. They need at least an hour’s exercise a day, and you’ll need to invest a lot of effort in recall training before you let them of the leash. Their tidy coat needs brushing about once a week. As for health issues, the Beagle has been known to suffer from hip dysplasia and patellar luxation. Both of these can cause severe and debilitating pain. They are also vulnerable to epilepsy. We don’t recommend huge dogs with very young families. If your kids are older, though, it’s a valid option. You will want to ensure that the dog has a calm temperament and is properly trained. Be forewarned that a large dog will need a spacious home to live in. They will need to properly stretch their legs and relax! If a giant breed is what you are looking for, one of the best dog breeds for families is the Newfoundland. This breed is a very large dog. They average 26-28 inches tall at the shoulder and 100-120 pounds on the scale. But their sweet temperament has many referring to them as gentle giants. They are famed for their affinity with kids, proving to be exemplary nanny dogs. They are also tolerant of other pets if they have been trained and socialized correctly. However, we don’t recommend housing small dogs or other pets with a Newfoundland. Newfoundlands are talented swimmers and have a history as rescue dogs in icy waters. Their ability to save a fully-grown man in such conditions is truly remarkable. They can be a little bit of a hassle to brush; there is a lot of fur to get through! Newfoundlands shed continuously throughout the year and need brushing several times a week. As with all giant dog breeds, training is critical. Having a disobedient 100-120 pound dog is not something you are going to enjoy! Luckily, the Newfoundland is eager to please and takes well to positive reinforcement training. Puppy obedience classes are the perfect place to start. The Newfoundland can do well on just 30 minutes of moderate exercise a day. As for health issues, the Newfoundland is known to potentially suffer from both hip and elbow dysplasia. 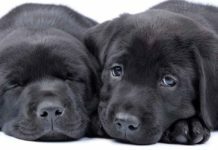 Both of these may be avoided by choosing a trustworthy breeder who can prove the health of the parents. Let us preface this section by saying that no dog breed is going to lead a happy life their people are out for 8-12 hours a day. While some breeds are more tolerant of being left alone than others, no dog is going to enjoy being left alone for most of a day. If you work a very tiring job, you might also struggle to find the energy to exercise a Golden or a Lab for a few hours each night after work. If your pup will be the only one at home for most of the day, then we don’t recommend you get a dog at the moment. Every family has their own unique situation and responsibilities. Luckily, with so many different kinds of dog out there, as long as you have the time to spend with them, there’s sure to be a perfect breed for you. The breeds brought up in this article have proven to be good suggestions for many families. They are well-known family dogs, and are certainly worth your consideration! Do you have any breeds you’d like to add to the list? What breeds are a part of your family?